As we quickly approach the holiday season, brands are beginning to put the final touches on their themed campaigns. If SMS isn’t part of your marketing mix this November and December, then maybe you should think again. SMS is quickly becoming one of the best ways to reach and engage customers and you don’t want to miss out. 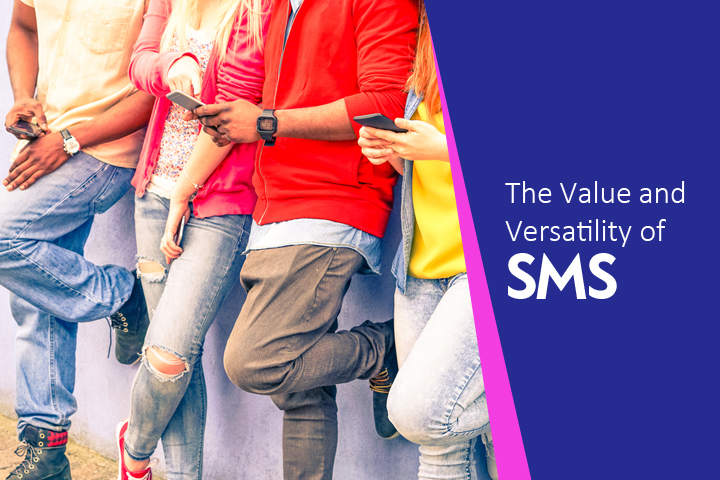 The value and versatility of SMS cannot be replicated by email, phone, instant messaging, or any other traditional mode of communication. It’s by far the most flexible and personal tool you have at your disposal. Just consider some of the following data points that we recently gathered for an infographic on the reasons why enterprises are increasingly turning to mobile messaging throughout the year. SMS is the number one used feature on mobile phones. Text messages enjoy a 98 percent open rate and 19 percent click-through rate. 90 percent of texts are read within three minutes of being received. Millennials are a whopping 40-times more likely to act via text. 86 percent of users are open to mobile engagement. 77 percent of millennials have a positive perception of companies that text. We’re just scraping the surface here. The overwhelming majority of consumers have a positive view of SMS and prefer to work with businesses that have texting capabilities. But it’s not just the fact that customers like SMS that makes it a valuable tool this holiday season. You also have to consider the versatility. SMS can be used for marketing, advertising, customer service, and virtually anything in between. It’s like a Swiss Army knife for businesses – always there, ready to handle whatever task you’re facing. During the holiday season, consumers shop differently. While throughout the year customers will frequently visit one store and then return home, they’re much more apt to take extended shopping trips to multiple retailers during November and December. Understanding this behavior, savvy retailers will use SMS to send out well-timed information about flash sales to drive traffic to their stores and generate buzz. This is something that can’t be done via email, as the delay between receipt and open is too lengthy. Why spend money disseminating coupons to your customers when you can do it for free? While you have to pay to send out coupons in the mail or place them in newspapers or magazines – not to mention deal with the fact that only a small fraction of people will ever see them – you can freely send mobile coupons via SMS whenever you please (and 98 percent of people will see them). You have to understand that holiday shopping is stressful for many of your customers. They often feel rushed, worry about getting the right gift for each person on their list, and fear not getting online orders on time. You can use SMS to reassure them that everyone is fine – particularly when it comes to the latter issue. When a customer places an order for a product – whether online or in-store – they want visibility. A tracking number is great, but people lose tracking numbers and don’t want to type in a long ID just to check on the status of their shipment. This is where SMS comes into play. You can set up a system that sends out notifications to customers when an item is being shipped. This reassures them that the item will arrive in time and helps establish trust. You can also use SMS to tell customers when a certain item has been restocked in stores. Not only does this save them the frustration of continually visiting your store and not finding the product they’re looking for, but it also prevents customers from repeatedly calling your phone line to ask the same questions. This frees your customer service agents up to field more important and pressing calls. If you’ve considered using SMS in the past but just haven’t had the opportunity to get started, this is the best time of the year to launch. During the holiday season, it’s easy to get customers to opt-in to your subscriber list via a number of unique strategies. Then, once you have a strong list, you can begin using SMS for other purposes in 2017 and beyond. In order to encourage signups, make sure you’re leveraging the holiday season and incentivizing customers to opt-in. Brick and mortar stores can try to sign people up at the POS by offering a discount in return. Ecommerce sites can implement similar strategies during the online checkout process. Service companies can provide additional offers in return for asking customers to sign up. There are a variety of options and you should be doing everything within your power to grow your subscriber list during this valuable window of opportunity. The holiday season is quickly approaching – and it’s expected to be another record season in most industries. In order to fully prepare for this busy and profitable time of year, you should at least consider adding SMS into the mix. Whether you’ve thought about SMS in the past or this is your first time discovering the benefits of this powerful mode of communication, we’d love to speak with you about what it looks like to integrate texting capabilities into your marketing and/or customer service strategies. Contact us today for more information!